Green Mangoes and Lemon Grass Southeast Asia's Best Recipes from Bangkok to Bali | Free eBooks Download - EBOOKEE! From roadside to restaurant, Green Mangoes and Lemon Grass takes you on a lip-smacking culinary tour of Southeast Asia's most scrumptious food, from Singapore's fascinating cosmopolitan offerings to Thailand's sinfully spicy dishes and Vietnam's refreshingly healthful recipes. Featuring expertly written text and recipes from the diva of Asian cuisine, Wendy Hutton, this book explores the glorious splendor of Southeast Asia's rich and varied cuisine, presented here in the form of tantalizing photos by award-winning photographer, Masano Kawana. Green Mangoes and Lemon Grass will help you whip up an Asian festival of food in your very own kitchen! 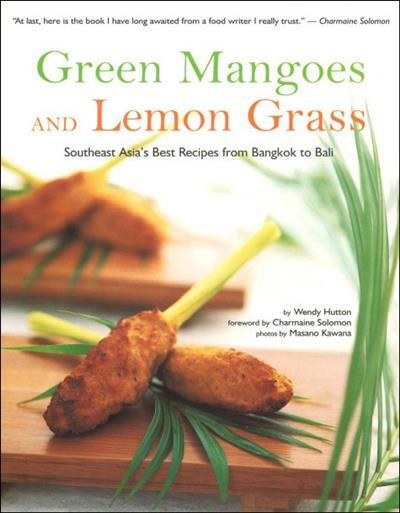 No comments for "Green Mangoes and Lemon Grass Southeast Asia's Best Recipes from Bangkok to Bali".